Stylish scooter with innovative "lean to steer" design. Eurotrike’s Twist & Roll Tri Scooter will provide hours of fun with its brilliantly innovative lean to steer design! 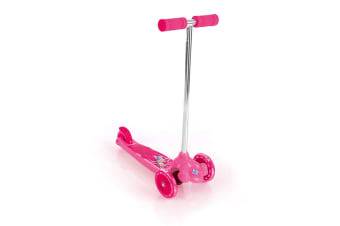 Fun and stylish, this scooter will be your child’s new favourite toy! The ultimate fun for children! Watch as they zoom down the street in this stylish fun Twist & Roll Scooter.